Last season's relegation play-off survivors Eintracht Frankfurt host Markus Weinzierl's FC Schalke 04 on Saturday. Markus Weinzierl faces his first Bundesliga test as FC Schalke 04 coach as he leads the Royal Blues to Eintracht Frankfurt on Saturday (kick-off 15:30CEST/13:30GMT). Not picked your Official Fantasy Bundesliga team yet? What are you waiting for? Sign up here! 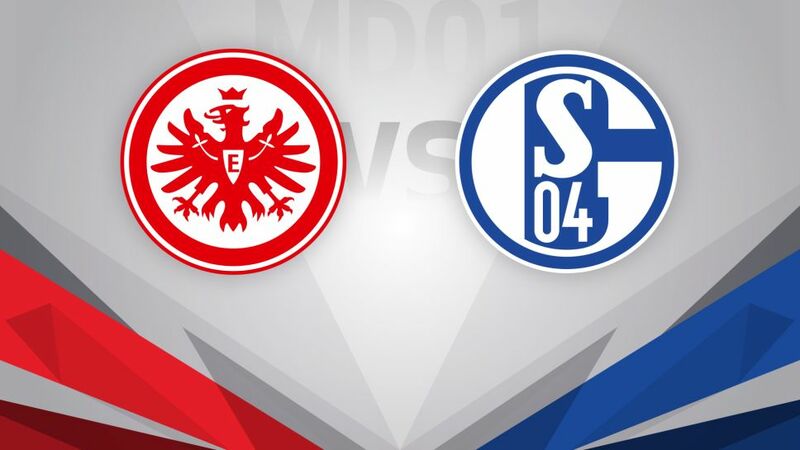 With a new coach and a promising new signing, FC Schalke 04 head to Eintracht Frankfurt this weekend keen to hit the ground running against a side who only avoided relegation by the skin of their teeth last term. After a successful tenure at FC Augsburg, Markus Weinzierl is calling the shots in Gelsenkirchen this season. One of his first moves was to draft in talented forward Breel Embolo from FC Basel 1893, who showed on his debut in the German Cup what an exciting prospect he is. Frankfurt scraped through their opening cup tie last week on penalties and they will be hoping that drama wasn't a sign of things to come as Niko Kovac eyes a more comfortable campaign. New arrival Branimir Hrgota shone on his debut while big things will be expected of loanee Guillermo Varela from the sell-out 51,500 fans in the Commerzbank Arena. After four years at FC Augsburg, Weinzierl is coaching his second club in the Bundesliga this season.Embolo marked his debut with a goal in Schalke's DFB Cup win last weekend.Frankfurt midfielder Alexander Meier is bidding for a double-digit goal haul for fifth time in six seasons.